LONDON (Reuters) - A British energy entrepreneur and one-time Formula 1 racing team owner is entering the race to build new inter-city "flying taxi" services that tap recent aerospace advances while steering clear of more fanciful blue-sky visions touted by tech-focused rivals. Stephen Fitzpatrick, founder of Ovo Energy, an upstart challenger to the UK's big six electric utilities, said his new venture will apply lessons from F1 racing to build electric Vertical Take Off and Landing (eVTOL) aircraft. Vertical is looking to target some of the most congested air corridors in the world with aircraft that don't require runways but also have enough heft to travel up to 500 miles (800 km), Fitzpatrick said in an interview. "We are investing in all the technology evolution taking place in aerospace but we are trying to apply that to something that's real world and is possible to execute four years out," the Vertical Aerospace founder and chief executive said. "We are not waiting for huge changes in existing regulations." 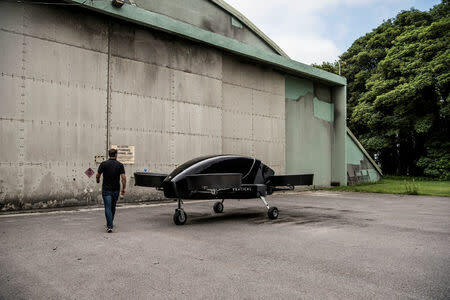 Vertical said it had conducted a test flight of an unmanned, single-passenger vertical take-off prototype at an airport in Gloucestershire in western England in June after it was granted flight permission by the UK's Civil Aviation Authority (CAA). The black passenger pod with four rosters set the stage for more ambitious work. In a later stage, Vertical will seek to extend the aircraft's range, introduce elements of autonomous flight and expand the number of chartered routes it can serve. "The technology we were using in Formula 1 was just too high-spec to be applied to the challenges of the typical road car," Fitzpatrick said. "What you can get from an F1 engine has more power density per kilo than a jet turbine," he said.